This report identifies leading companies with exceptional records of client satisfaction. WASHINGTON, Oct. 26, 2016 – Clutch has published a report announcing for the first time the top app developers in three major Indian cities, Ahmedabad, Delhi, and Bengaluru. The research leverages the proprietary Leaders Matrix methodology, which maps each firm’s focus on mobile app development and user experience (UX) design against their ability to deliver reliable and high quality results to their clients. Mobile App Developers in Ahmedabad: OpenXcell, Intuz, Hyperlink InfoSystem, Peerbits, Hidden Brains InfoTech, Space-O Technologies, Agile Infoways, MindInventory, RapidOps, Credency Solutions, Elite InfoWorld, Simform Solutions, Moveo Apps, Magespider Infoweb, and Nimblechapps. Mobile App Developers in Delhi: Appster, Algoworks, AppInventiv, Copper Mobile, MOBIKASA, IT Chimes, TechAhead, Techugo, Clavax, Daffodil Software, NZT Solutions, OpenSource Technologies, Mobrill, FULLeStop, and Tanzanite Infotech. Mobile App Developers in Bengaluru: July Rapid, Sourcebits, CognitiveClouds, Snyxius Technologies, DigiFutura, Hashtaag, Wow Labzz, Kuliza, GoodWorkLabs, TECSOL Software, SPRITZ LLC, Narola Infotech, Suventure, KNS Technologies, and Digitalforce. All of the companies featured were evaluated on their experience, market presence, and ability to deliver. Clutch analysts interviewed the companies’ past clients to learn how the firms make complex applications, turning company’s visions into reality, and producing them in a compelling way. Clutch’s research in mobile app development is ongoing, and the research firm encourages interested companies to apply to be included in future coverage. 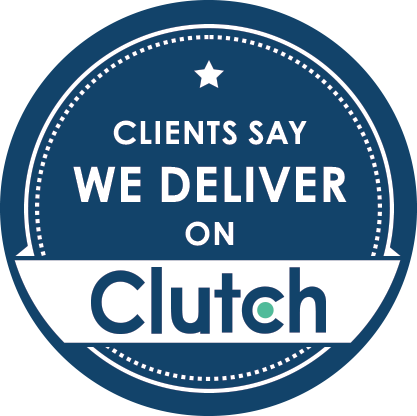 A B2B research firm in the heart of Washington, DC, Clutch connects you with the agencies and software solutions that can help you enhance your business and meet your goals. Our methodology maps agencies and software solutions based on consumer reviews, the type of services offered, and quality of work.